GET your tickets now before they all go for the BBC Big Band at the Palace Theatre next Thursday, March 28. Playing ‘The Music of the Big Bands’ it’s a chance to join the world-renowned BBC Big Band for evening of world-class music, inspired by the finest swing composers of the 20th Century. Through a diverse repertoire arranged and curated by the orchestra’s musical director and conductor, Barry Forgie, the concert celebrates the era’s most iconic swing bands and composers, whose legacy and influence continues to define a classic era of music. Featuring numbers from the likes of Duke Ellington, Count Basie, Glenn Miller, Tommy Dorsey and Benny Goodman this will be an evening of truly top class music from one of the world’s most respected Big Bands. 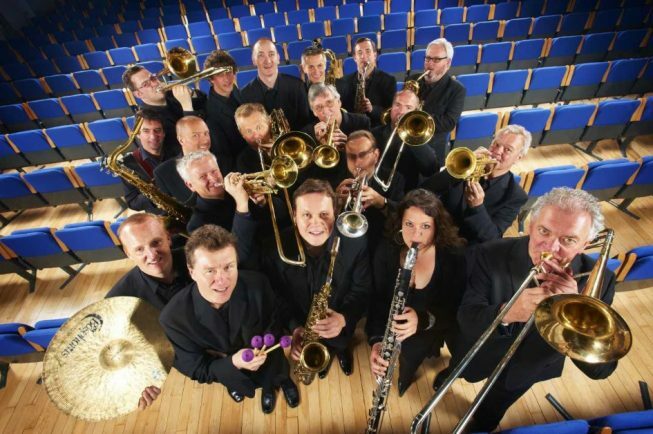 They’re widely regarded as the UK’s leading Big Band and have won the prestigious ‘Best Big Band Award’ at the British Jazz Awards eight times!